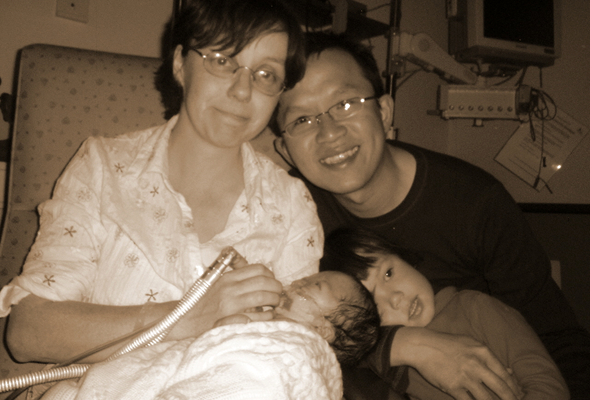 Lynn Kee's daughter Grace was diagnosed with camptomelic dysplasia and lived for six days after her birth. "Her life was important, not because she achieved anything but because life itself is important." "It was with great joy but also with trepidation that I went for my first scan at 13 weeks gestation. There was a slight hesitation, and my heart immediately sank like a lead balloon. The consultant said we needed to talk. This was the worst moment of my life. My 13-week scan came with the diagnosis of “severe cystic hygroma”. The consultant explained that this level of severity would result in spontaneous abortion from 20 weeks or the foetus growing to term but having severe abnormalities that would most probably not be 'compatible with life'. The consultant told me that I would need to have an amniocentesis as soon as possible in order to make a diagnosis. I asked if the reason I needed an amniocentesis was because she thought it would be best for me to proceed with an abortion. No response was given. Two days later, I underwent an amniocentesis. In the interim a relative had questioned why there was such an urgency for an amniocentesis. The amniocentesis was a distressing procedure. The staff were encouraging me to look at my baby affectionately while I could see a needle coming through the uterine wall. I was terrified the needle was going to hit the baby. I could not reconcile the way the staff were enthusiastically showing us the baby on the scan, while at the same time the unspoken urgency for the amniocentesis was to enable us to go for an abortion. 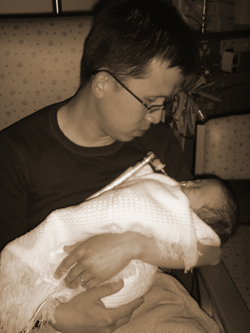 Two weeks later, we received the results of the amniocentesis which showed a normal chromosomal arrangement. This meant that we did not have a diagnosis but had out ruled some chromosomal conditions such as Down’s Syndrome. We had also undergone a procedure that could have triggered labour and a spontaneous abortion or miscarriage. My pregnancy continued without problems. Our baby was active, growing, and had I never been scanned, I would never had known that anything was wrong. I had been told that from 20 -30 weeks the possibility of a spontaneous abortion was high. 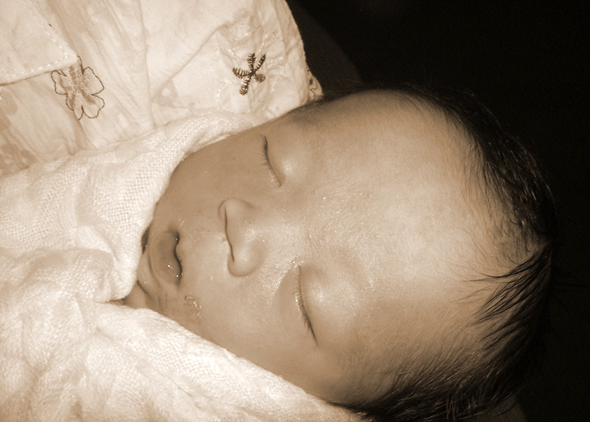 I enjoyed the movements of our baby but whenever the baby was quiet I was afraid that she had died. I did not know whether this would be our last day together or would we be given another. She was an active baby and whenever I lay down on my right side she would kick and kick until I rolled over to the other side. At my final scan the consultant suspected that our baby may have “camptomelic dysplasia”, which did turn out to be the correct diagnosis. Suffice to say the labour and delivery were complicated and resulted in a caesarean section, a normal delivery was not an option. 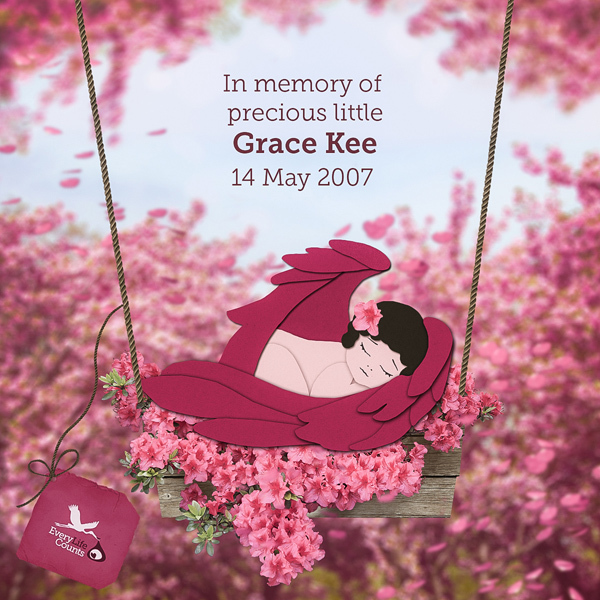 When Grace was born I was not sure whether she was still alive and when I heard her cry I knew it was weak. When I saw her I knew that she was already oxygen deprived. She was rushed to the neonatal intensive care unit. I was struck by how familiar she looked and how she looked so like my husband’s grandmother. This was important, as I had imagined that she may somehow look grotesque but this was not the case. I was also surprised at how alert she was and how she looked around her. Over the next few days I was overwhelmed when she made eye contact with me. I was also aware of her deformities and the consequences of these. The geneticist visited us late one Friday evening and we remain grateful for his work and for his time. He did not postpone his meeting with us till Monday morning but came on a Friday evening to take the time to confirm the diagnosis and explain the most probable prognosis. 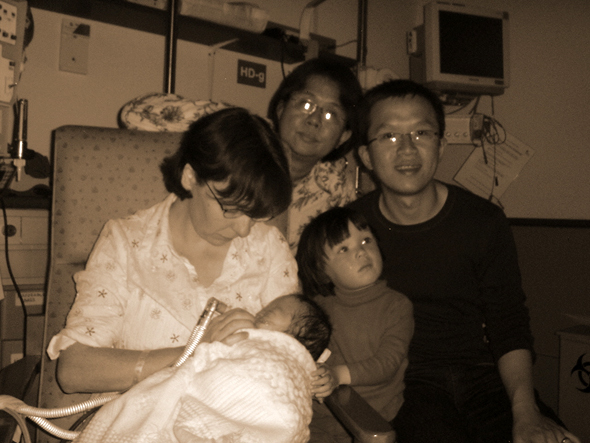 During her time in the neonatal intensive care unit, baby Grace was visited not only by us but also by her Grandparents and my brother and sister-inlaw. We are grateful for the love they gave to her. It was important for them to meet her after the many months they supported us through my pregnancy. Our three-year-old daughter was able to meet her sister and this helped her to know what was happening. 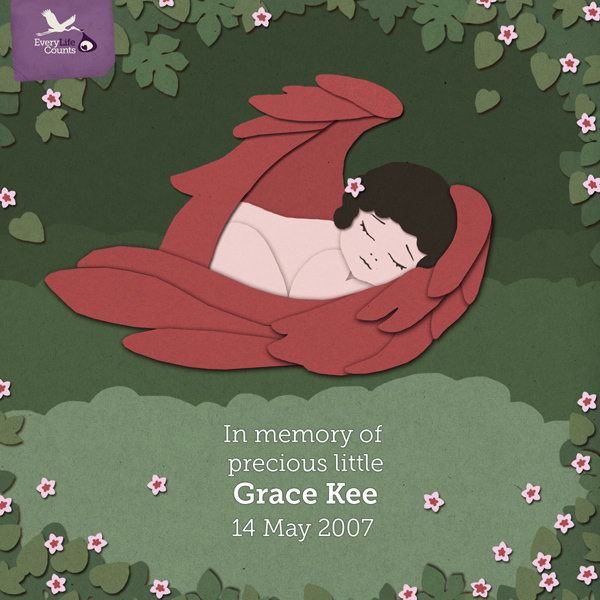 When we returned home after Grace’s death, she realised that Grace would not be coming home to play with her, but was able to remember how Grace's hair felt and her little fingers and feet and how she had looked at her. 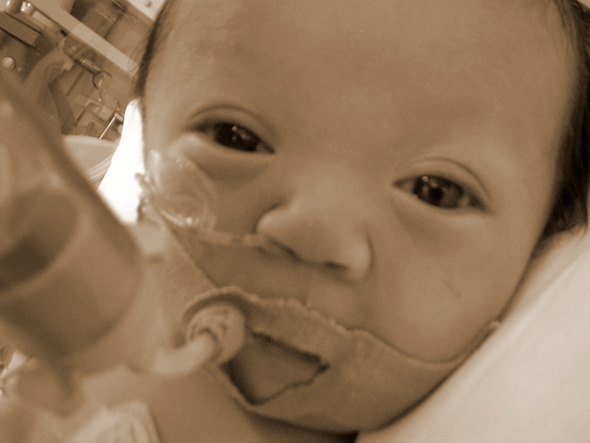 Over the six days that Grace was in the ICU it was clear that she needed to be extubated and was unlikely to survive. There was a slight chance that she could survive a few months but we needed to be prepared for her death. My mother in law came from the other side of the world and was able to meet Grace and support her son. My husband and I were with Grace when she was extubated and during her death. After she had died I was able to bathe her. These moments were precious because the the anxiety of not knowing what was going to happen were over and her suffering in death was also over. I am so grateful that I was able to have this time with her. Over the next two hours before bringing her home we were able to spend some time holding her and watching her at peace rather than the struggle of life outside the womb and death. I always believed that abortion was not the right way. When faced with our dilemma I did want the problem to go away because that would have achieved nothing, we would have been robbed of our time together we would never have met her. Her father, sister, grandparents and aunts and uncles would never have known her. Many friends have joined us in looking at her photographs. My obstetrician told me there would be another but there never was another, and if I had curtailed her life in the hope for another the disappointment would have been even greater. I have considered whether an abortion would have been an easier death for her but again I feel that this would not be true given the horrific abortion techniques. What would killing her in the womb have achieved? She had a healthy life inside for 9 months and gave me no problems at all. She died in my arms with her Dad beside her. Throughout my pregnancy it was extremely difficult to stand up to hospital staff knowing that they thought an abortion would be the best option. If I found it difficult after years and years of working in hospitals how much harder it must be for those who are not used to dealing with health professionals. 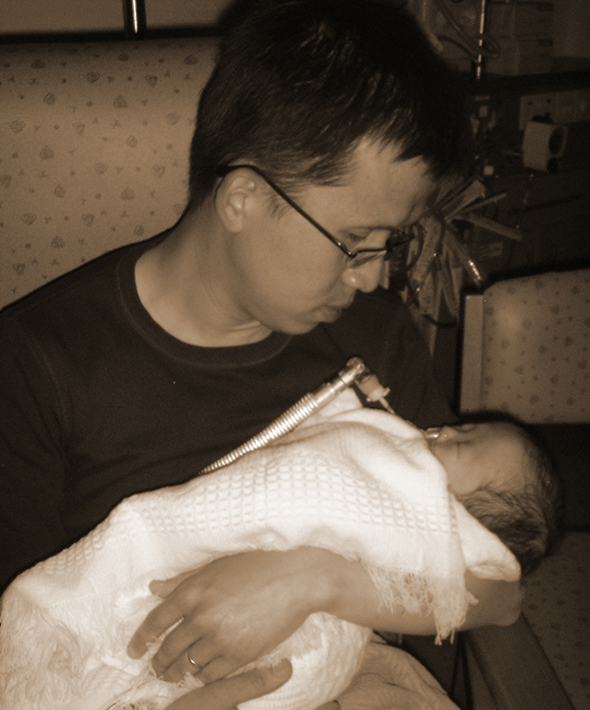 My obstetrician gave me the best possible obstetrical care in terms of looking after my health and in trying to determine what foetal abnormalities Grace had. My husband also gave me unwavering support all the way through. At my six-week post natal appointment, my Obstetrician asked me, “what about another child?” I asked if I should become pregnant again, could the scans be delayed until later, the answer was a resounding no with an emphatic, “we have to scan early”. I question why such early scans (before 20 weeks) are necessary as it seems that they are predominantly for early diagnosis to enable people to go for abortions. 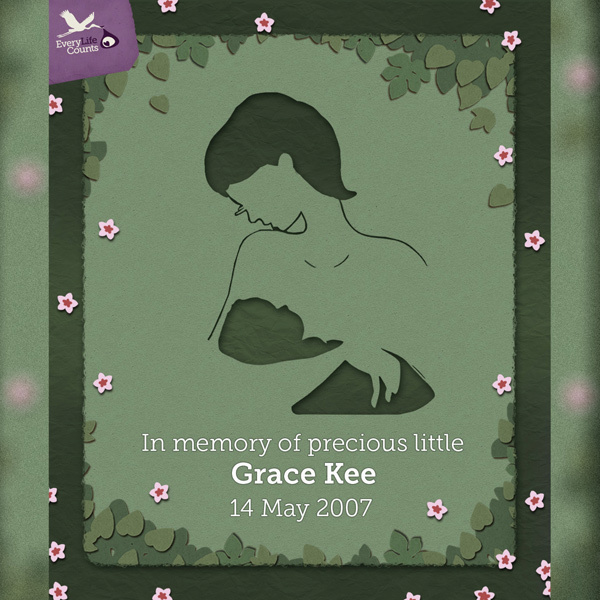 In her short life Grace has taught me more about the sanctity of life than many who have lived long lives. Her life was important not because she achieved anything but because life itself is important. She was unique. "In her short life Grace has taught me more about the sanctity of life than many who have lived long lives." We had no problem accepting her but we did have difficulty with the problems that she had been given. When people say to me it’s better that she didn’t live, I understand they don’t want her to suffer but I still feel that it’s not better that she didn’t live but better if she could have lived but with her SOX9 gene intact. The years after her death have been hard but we are glad that we did not have an abortion. We thank God for the children he has given to us. Although our intense grief has eased over the years there is never a day that I don’t think of her. Grace will always be our second child." CAMPTOMELIC DYSPLASIA is a genetic disorder, camptomelic or campomelic refer to the bowing of the femur and tibia, (from Greek campto, to bend and melos, limb), commonly seen in this disorder.